Georgetown has a small faculty to student ratio that makes sure students get the attention they deserve. Rich traditions in academics, the arts and athletics ensure that the Georgetown experience will be meaningful. Campus is conveniently located, just minutes from major cities like Lexington, Louisville, and Cincinnati. The office of financial planning also works with families to make sure the information and resources are available to make an education at Georgetown affordable. National recognition sets Georgetown apart as a place that truly prepares students for success. 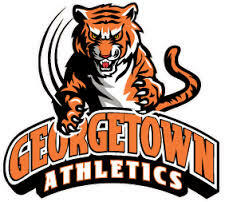 All around, Georgetown College is a great place to live, learn, and believe!